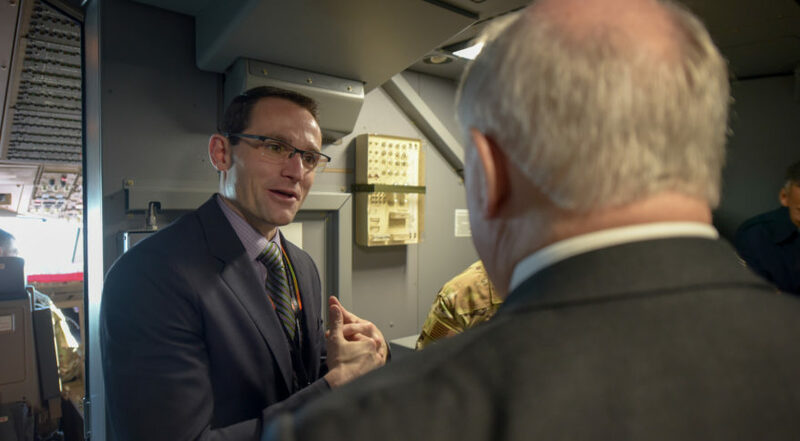 Procurement chief Will Roper said he wants the Air Force to work more closely with the small launch industry as the military embraces the idea of “responsive space” — using small satellites for missions that traditionally have been done by large satellites. WASHINGTON — Space billionaire Sir Richard Branson, founder of the suborbital spaceflight company Virgin Galactic, recently visited the Pentagon and met with Air Force leaders to talk about how the company might in the future do business with the U.S. Air Force. Virgin Orbit, a spinoff of Virgin Galactic, developed a satellite launch vehicle called LauncherOne that will be deployed from a Boeing 747 aircraft. The company is preparing to fly a small test satellite for the Defense Department later this year. Another senior Pentagon official, Undersecretary of Defense for Acquisition and Sustainment Ellen Lord, spoke recently about the military’s interest in small satellites and small launch services. Lord in November visited Virgin Orbit in Long Beach, California. She told reporters that the Pentagon should engage with commercial small launch providers to make sure those services are available for the military when they are needed. Industry executives have expressed frustration about the Pentagon’s acquisition process to buy commercial space services like small launch. Mandy Vaughn, president of Virgin’s subsidiary Vox Space, said a problem for the industry is the military’s requirements and procurement process. “Nobody is really programmed to have payloads geographically dispersed and ready to go on a moment’s notice largely because the launch infrastructure to take advantage of it doesn’t exist,” Vaugh said during a panel discussion earlier this month at a conference of the American Institute of Aeronautics and Astronautics.